The country is going through a tough time and people living here can’t possibly avoid the threats involved. Kangana Ranaut is known as an actress who speaks her mind and shares her opinion very vividly. 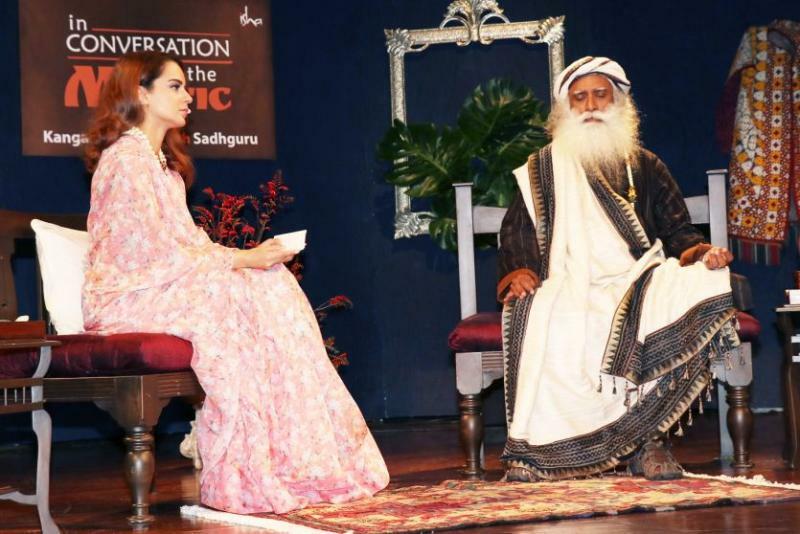 The actress recently visited the ashram of Sadhguru and she shared a few pictures of hers in the ashram. During the interaction, the actress spoke about an incidence while shooting for ‘Manikarnika’. Sharing the incident, “I’m working on a martyr’s biopic Manikarnika where there is a scene where my protagonist, Laxmibai, goes and saves a calf. My crew had a discussion, we halted the shoot. They said ‘we can’t save a calf’ because we don’t want to look like cow savers,” she said. Ready to play Rani Laxmibai she feel very passionate but after reading the stories about cow protection, she feel “like and idiot”. Kanganan Ranaut further added “When such a prejudice thrives, as a person you feel very protective of who you are and what your values are, and you want to save all animals and you definitely want to save the cows because the prejudice is really agonising. But (then) lynching for cows takes place and you look like an idiot”.